From Tuesday 22 May to Saturday 26, The General Consulta meet with the Provincials, Vice Provincials and Delegates at Mottinello in Italy. This will be the last annual meeting before the General Chapter of 2013. This year sees a special celebration. The host Province, The Lombard Venetian celebrate the 150th anniversary of their foundation. This special day will be marked on Friday 25 May, Birthday of St Camillus, in Verona. 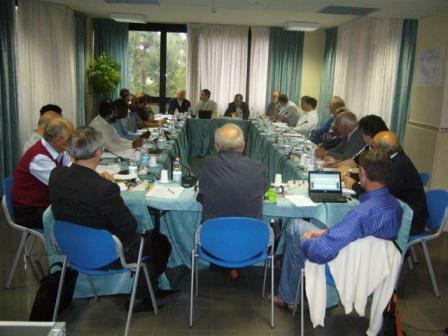 A scene from a previous meeting, Rome 2010. We are sorry to have to announce the death of Fr Pat McKenna MI who died on Easter Thursday night. May he rest in peace. Amen. Funeral arrangements - Sunday April 15, 5:45pm prayers in Community chapel, St Camillus Killucan Co. Westmeath and then removal to Nursing Centre chapel for 6pm Mass. Funeral Mass, Monday 16 April at 12 noon. We are sorry to have to announce the death of Fr Noel Carrigg MI who died on Holy Saturday night as we celebrated the Vigil Mass of the Lord's Resurrection. May he rest in peace. Amen. Funeral arrangements - Easter Monday, 5:45pm prayers in Community chapel, St Camillus Killucan Co. Westmeath and then removal to Nursing Centre chapel for 6pm Mass. Funeral Mass, Easter Tuesday at 12 noon. 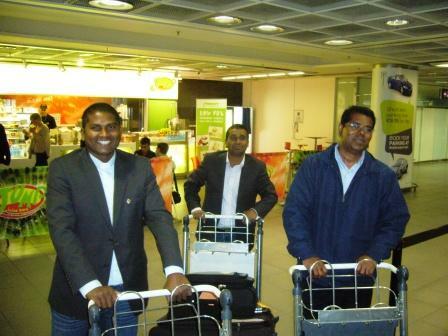 Monday 2 April 2012 sees the arrival of three Indian Camillians who have come to the Anglo-Irish Province for three years. All three will be based in Ireland. Fr Baby will be based in Killucan. Fr Suresh will be based in Blackrock and Fr Tomy will be based in north Dublin. We wish them well and a hearty welcome. Above, l to r. Frs Suresh, Tomy and Baby arrive at Dublin airport. Translation. 'Today, 11 February 2012, we have received official notice that our brother, Fr Prosper Kontiebo is appointed Bishop of the Diocese of Tenkodogo (Burkina Faso). 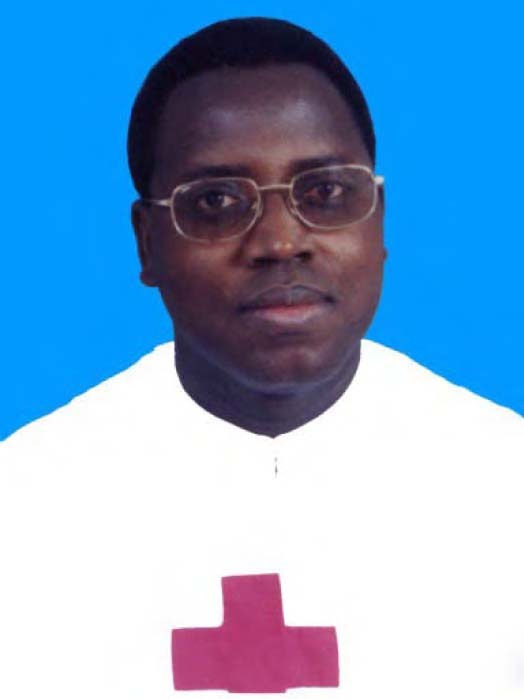 Oggi, 11 febbraio 2012, è stata comunicata ufficialmente la notizia della nomina del nostro confratello P. Prosper Kontiebo a Vescovo della diocesi di Tenkodogo (Burkina Faso). A nome di tutti i confratelli dell’Ordine, esprimo la gratitudine al Santo Padre per aver volutoelevare un religioso camilliano alla dignità episcopale. Sono molto lieto anche perché sono sicuro che Padre Prosper offrirà un prezioso servizio alla Chiesa attingendo alle grandi risorse della sua spiritualità, umanità e specifico carisma camilliano. Tutti coloro che hanno avuto la gioia di conoscerlo oggi si sentono particolarmente partecipi ed anche orgogliosi, rendendo lode al Signore che continuerà a vegliare sulla Viceprovincia del Burkina Faso della quale il nostro confratello è stato guida sicura e necessaria. Ritengo molto significativo che l’annuncio sia stato dato in questo giorno così «camilliano»: la Giornata mondiale del Malato e la memoria della Beata Vergine Maria di Lourdes. Invito tutti a sosternerlo con la preghiera e la fraterna amicizia di cui avrà tanto bisogno.